Indeed, when wifi is constantly enabled and connected to an access point (AP), the battery is drained quickly. Many previous generation devices barely sustain a whole day of a constant wifi connection. Additionally, most usage patterns don’t require a constant connection but only a periodic one (to get status updates, emails, notifications). AutoConnect solves that problem. When AutoConnect is enabled, it will periodically attempt to connect to wifi each 15 minutes, 30 minutes or 1 hour (settable in the configuration). If wifi is not available, it will try again on the next run. This way, the wifi usage is minimized and your battery will last longer. Interval: delay between successful or unsuccessful connection attempts. It is recommended to set it to 1 hour (the default) to maximize battery usage. Scheduler: when enabled, you can restrict the time when AutoConnect will perform its connection attempts. This is useful if for example you don’t want to be woken up by an email notification sound during the night. That’s it! No complicated setup. Note: to avoid wifi staying on all the time, make sure you use the following phone settings. In Wireless & networks / Wi-Fi settings, press the menu key, chose Advanced and set the Wi-Fi sleep policy to When screen turns off or Never when plugged in. Q: Why does the screen turn on periodically? A: This is AutoConnect attempting a connection. It does this because it’s the only reliable way to connect the phone to wifi. Many phones have a power save mode that kicks in when the screen is off and prevent a successful connection. Other phones just crash and reboot when toggling wifi when the screen is off (eg. Xperia X10 Mini Pro). Don’t worry. The screen is in dim mode to avoid draining the battery and switches off as soon as a wifi connection is established. Q: How long does Wifi stay on after a connection? A: Android has a default wifi idle timeout of 15 minutes and it cannot be changed by the user. After that time, wifi is automatically turned off. Q: Which wifi sleep policy should I use? A: Either When screen turns off or Never when plugged in. AutoConnect will not mess with your settings in any case. Q: What happens if I turn off wifi from the phone settings or a widget? Will AutoConnect still wake the phone and attempt to connect? A: No. 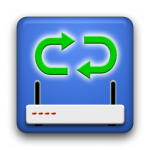 AutoConnect will honour your desire to turn off wifi and only perform reconnections once you turn wifi back on. A: If you use your phone, wifi will be activated and AutoConnect won’t do anything. Once you stop using your phone, it’ll wait for the next interval you specified to wake up wifi again. Q: What happens if I use my phone normally? Will AutoConnect still attempt to perform connections? Q: How long will the phone stay on when searching for wifi? A: If no wifi is available, AutoConnect will give up after 45 seconds and put the phone back to sleep. Q: Where is the full version? A: Back at the time (5 years ago), we used keywords in the description as the Play Store’s search algorithms were lacking. Since Google has autistic skills when it comes to communication, instead of sending a simple notification to tell us, they removed the app and there’s no way to put it back. If you need help or you believe AutoConnect doesn’t work properly with your device. Please contact us here and provide the following information: precise phone brand and model, Android version/custom rom type and version. We’ll get back to you as soon as possible.